From 6 p.m. – 10 p.m.
Also, join us for Cheese, Chocolate and Bubbles: 2 Glasses of House Bubbles & a Cheese and Chocolate plate for $30 during February 9-17. 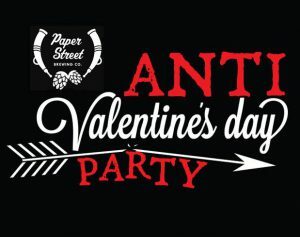 From 6:30 p.m. – 10:30 p.m.
Join us at our Annual Anti-Valentine’s Day Party at Paper Street! Free cookies & loathing! 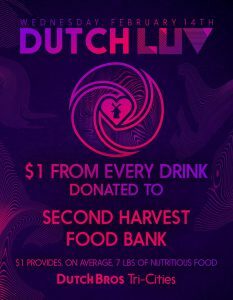 Dutch Luv Day is February 14th, we hope you and your friends join us in giving back to the community! $1 from every drink sold goes to Second Harvest Tri-Cities. Treat yourself and give back on the same day! Seating from 4:00 p.m. – 10 p.m. 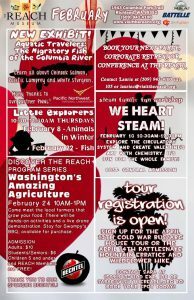 Celebrate Valentine’s Day at the most romantic spot in the Tri-Cities! Chef Josh DuQuist has prepared a special, one-night-only menu and everyone’s favorite bartender, Mero, has some amazing new cocktails to set the mood. Contact us on messenger or call 509-628-0020 for reservations. Hello friends!! 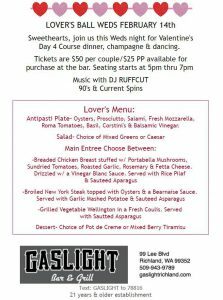 Have you made your reservations yet? Here are times we still have available: 4:30, 4:45, 5:00, 8:45. Reservations are required. 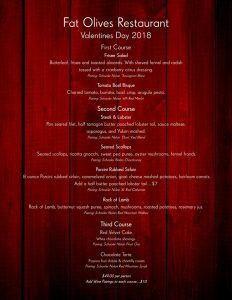 Please call us today to reserve your table (509) 205-0427. 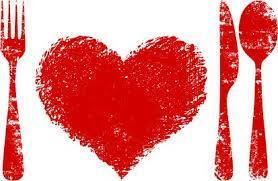 Valentines Reservations are filling up fast only a few times left, call (509) 946-6404 to get yours! 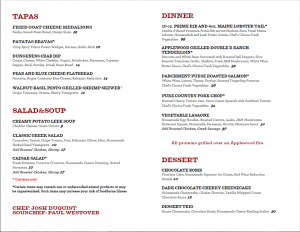 Seating options start at 4 p.m.
Special entrees made just for the evening. Candle lit tables & flowers. For reservations, call (509) 735-6418. 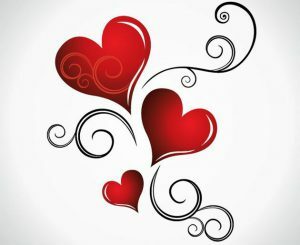 Love is in the air… check out our awesome special menu to be served Valentines Day. 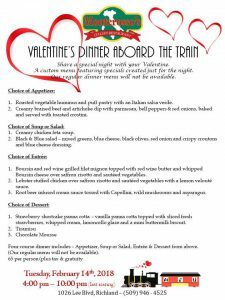 Show someone you care about just how much by taking them out on the town to dine with us at the train for a unique and fabulous time. 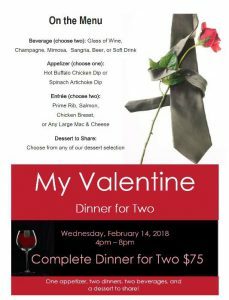 Call for reservations (509) 946-4525. Limited seating. Seating from 4:00 p.m. – 8:00 p.m. Consists of beverage, appetizer, main entree, and dessert. Reservations are not required. Seating from 5 p.m. – 7 p.m. 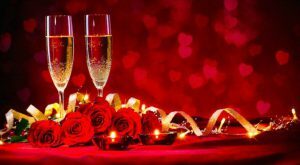 Sweethearts, join us for a four course Valentine’s dinner, champagne and dancing. Richard Scheuerman will be our guest speaker for our monthly meeting who will give a presentation on Regional Native American History as well as Searching Native American Records. There will also be a Beginning Genealogy Class at 6:15 p.m. – 1/2 hour class prior to the meeting. 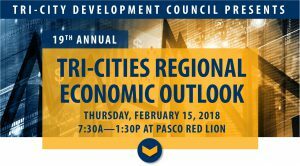 The 19th Annual Tri-Cities Regional Economic Outlook on Thursday, February 15, 2018 features local & national leaders presenting on key economic issues facing the region. Join us for the event of 2018! Connect with industry influencers and engage decision makers! – Network with industry influencers, decision makers and other professionals! – Learn about key indicators that will impact your business and career! – Find Opportunities for you and your business to succeed in 2018! 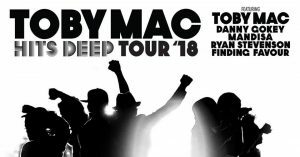 Don’t miss Toby Mac on February 15th at the Toyota Center in Kennewick! Other artists included in this tour are Mandisa, Danny Gokey, Ryan Stevenson, and Finding Favour! From 7:00 p.m. – 8:30 p.m.
Sports are far more than a game—they have a tremendous impact on our culture, and lay claim to playing an important role in developing moral values like courage, teamwork, and sacrifice. Join philosopher Mike VanQuickenborne for a deeper exploration of our obsession with sports. What makes something a sport? Is competition more helpful or harmful? What makes sports admirable? Is being a fan really a good thing? Should video games be considered a legitimate sport? What are the implications if genetic engineering enables us to create genetically enhanced athletes? Explore the philosophical implications of sports, what they say about our culture, and the ways in which they can reveal our full humanity. Thursday & Friday at 7:00 p.m.
What do you get when you combine one disgraced knight, two crafty wives, three doting suitors, and a sea of polka dots? A comedy of course! 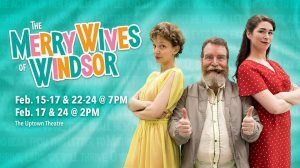 The Rude Mechanicals presents The Merry Wives of Windsor! This production utilizes a familiar setting: the 1950’s TV sitcom that harkens back to “I Love Lucy.” While the setting may be familiar, the design concept brings a bit of an edge combining the classic look of the 1950’s with the added fun of rockabilly touches. Dress up in your Dapper Best or as a Rockabilly Rebel, and you’ll receive free admission to our Backstage Pass and a free seat cushion rental (must purchase a ticket to the show). You’ll also be eligible to win some amazing prizes, have your photo taken at our Merry Wives photo booth, and have the opportunity for other opening weekend specials! This festival, directed by student Ricardo Orta, will showcase the creativity and talent of the students of CBC Theatre. 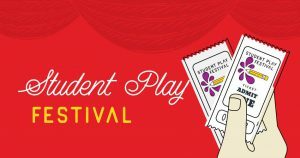 The evening will focus on four ten minute plays written by CBC’s own playwrights, and will also offer monologues and scenes from students who will be competing for the Irene Ryan acting scholarship at the Kennedy Center American College Theatre Festival the following week. 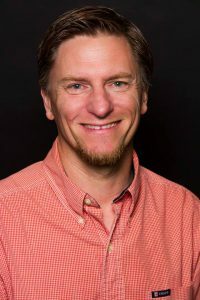 The plays include The Circular Motion of Humanity, written by Rae Iverson, which is about the everyday antics of college students; and The Spoon in the Corner Trilogy, written by Andrew Pogue, which is a series of ten minute plays with a common theme. 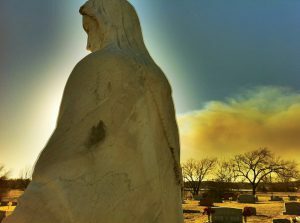 These three plots include a couple waiting in purgatory after dying in a car accident; a man receiving a birthday surprise; and an elderly lady mistaking her meal deliverer as death coming to reap her soul. 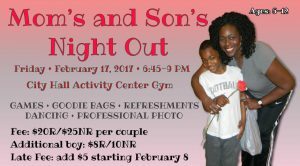 From 6:45 p.m. – 9:00 p.m.
Ladies, its your turn to share a casually dressed, fun-filled evening with your little guy at the Pasco City Hall Activities Center on the evening of Friday, February 16th. The event will start with games, food and fun, so come appropriately dressed. This year’s theme is “You’re My Super Hero.” Feel free to come in your best costume, but it is not required. The evening will then end with some dancing! With your registration you will receive one free 4X6 photo and you will also have the option to purchase additional photos. Photos will begin one-half hour before the event at 6:15 p.m. and will be available until approximately 8:00 p.m. Please complete the form and mark whether you only want the free 4X6 or will be purchasing more. 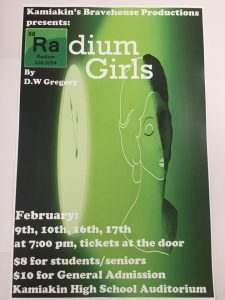 Kamiakin Drama Department presents its winter show Radium Girls. Set in the 1920’s, when radium was all the rage, girls worked in factories painting watch-dials with the radioactive paint “Undark.” Unbeknownst to the girls, or anyone else, this radium infused paint had some unwelcome health effects. These girls fight for justice and compensation but if it comes, will it be too late? 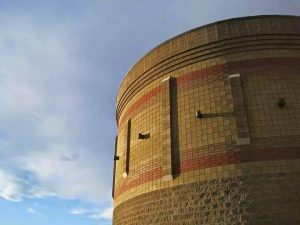 RadCon is a general Science Fiction/Fantasy convention held annually in Pasco, WA during President’s day weekend. The membership to our convention totals more than 2,500 attendees. 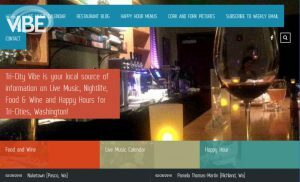 The RadCon Guild, the organization that sponsors and operates RadCon, is a Washington State not-for-profit corporation who’s goal is to support Education, Writing and film through the Science Fiction Genre. Akeelah has a crazy passion for words: the more abstruse and labyrinthine, the better. But this gift is almost overwhelmed by the challenge of her daily life in a tough, Chicago neighborhood. 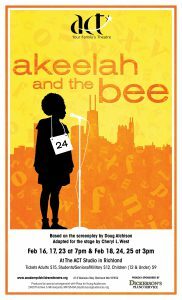 Akeelah’s aptitude earns her a spot in the National Spelling Bee, which inspires the people in her neighborhood with her courage and tenacity. 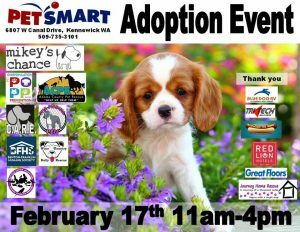 PetSmart in Kennewick is hosting a National Adoption Event that will feature over 80 pets for adoption that will be available from Mikeys Chance, C.A.R.E., Adams County Pet Rescue, Benton Franklin Humane Society, The Pit Bull Pen, Wine Country Bullies, and Little Lives. Please share this incredible event and help save the lives of homeless pets in our area. From: 6:00 p.m. – 10:00 p.m. The Whateverly Brothers will be performing as part of the Three Rivers Folklife Society monthly concert series. The Whateverly Brothers grew out of three friends enjoying playing music together. Starting as a maritime music group, they soon followed their wide interests and backgrounds into many styles and genres including full Celtic and Yule sets. 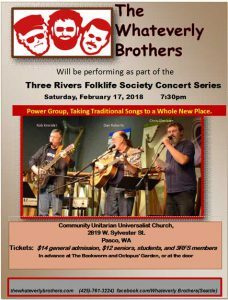 Dan Roberts, Chris Glanister and Rob Kneisler, all seasoned folk music collectors, performers, and multi-instrumentalists, have delighted audiences with their varying repertoire, shimmering harmonies, striking arrangements, and offbeat humor. A power group, tight and expressive. The Whateverly brothers have been performing for wide ranges of audiences – young and old, small and large alike – for over a decade and wherever the Brothers go, the fun follows! Tickets are available at Bookworm in Kennewick and Octopus Garden in Richland, and at the door. 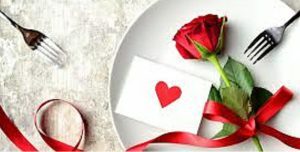 Saturday from 12 p.m. – 8 p.m.
Sunday from 12 p.m. – 5 p.m.
Let’s Get Weird AGAIN this Valentines with a Chocolate & Wine paring that will make your heart melt, if not explode. We’re talking Churros, Bacon, Sprinkles, Strawberry Waffles and more, infused in delicious chocolate. 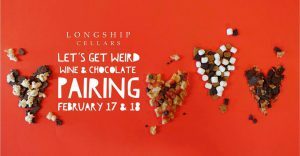 We’ll be pairing 6 Longship wines with 6 unique chocolates, including a special pairing with our unreleased 2017 Wild Harvest Rose! 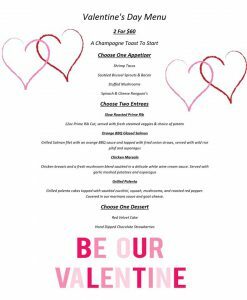 Grab your sweetheart, your besties or just bring yourself and we’ll be your Valentine! Wine Yakima Valley is inviting wine and chocolate enthusiasts to its annual Red Wine & Chocolate event weekend. Note Premier Passes are $35 and available at select wineries. The natural affinity between dark chocolate and red wine is no secret. The Red Wine and Chocolate event weekend in the Yakima Valley provides a distinctive and elegant offering of fine chocolate and fine wine. 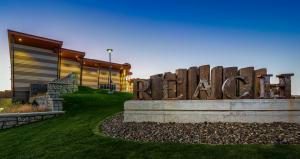 Visit the more than 40 wineries in Yakima Valley Wine Country during this Presidents’ Day weekend. Each winery pairs sumptuous chocolate desserts with their very own remarkable red wines. DrewBoy Creative’s signature color show, The Yellow Show, features nearly 60 artworks. This art show runs until February 24 and is proudly sponsored by Joe Cruz and Steve & Sara Schwan. 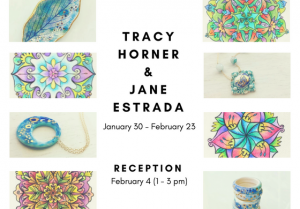 The exhibition “Precision and Symmetry” features the work by scientists and artists Tracy Homer and Jane Holly Estrada, and explores the themes of precision and symmetry. Tracy, a designer and electrical engineer, created wall art including mandalas and Celtic knots. Jane, a radiochemist, makes porcelain and gemstone jewelry and housewares. The exhibit will run until February 23. February 16: Supervolcanoes at 7 p.m. and Stars of the Pharaohs at 8 p.m.
February 17: The Little Star That Could at 2 p.m. and The Zula Patrol: Under the Weather at 3 p.m.